This unbelievable remodeled 3 bed 2 bath horse property is 2.45 acres of equestrian paradise. Acreage provides a rural ranch feel while being located in the city of Glendale close to amenities and shopping. Recently painted interior and newly installed carpet. Incredible open concept floor plan and spacious bedrooms. The kitchen has updated white cabinets, stainless steel appliances, granite counter tops. The property features horse stalls and a 100’x200′ arena with sprinklers and lights. Ride the trails straight off of the property with access to Skunk Creek and Thunderbird Mountain Park. Other highlights of the property are a 30×30 shop with roll up door, bathroom and industrial shelving. 2 full RV hook ups. Detached garage. NO HOA. Homes like this are rare and this one is priced right! Approximate size: 106722.00 sq. ft. Please, send me more information on this property: MLS# 5847342 – $650,000 – 19435 N 39th Avenue, Glendale, AZ 85308. 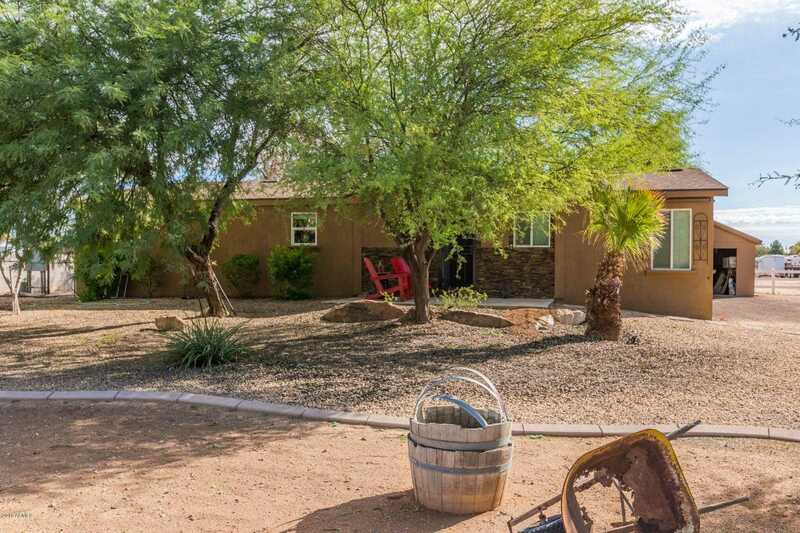 I would like to schedule a showing appointment for this property: MLS# 5847342 – $650,000 – 19435 N 39th Avenue, Glendale, AZ 85308.